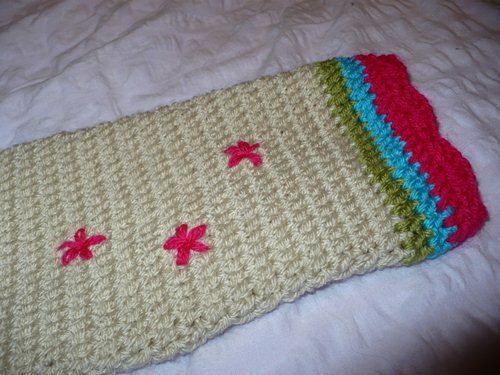 Here’s some more crochet that I did recently with my feet dutifully up! The pattern is from Magic with Hook and Needles. Although I made a few changes as always. The original pattern is for 4 ply cotton and a 2.5mm hook. I did it with dk and a 4mm hook. and made the smallest size, which came out perfect for a 4 year old. Oooh, thanks for the notes on yarn/sizing. 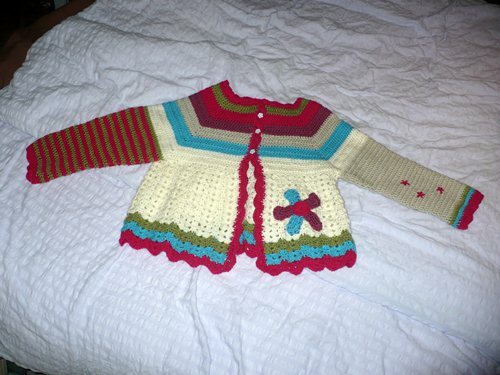 I have this one in my sights for Emily & a 4yr size would be perfect. However, I’m so not into 4ply! 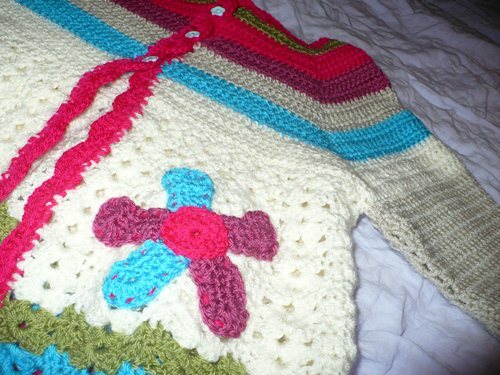 I LOVE this sweater….so adorable! Great job!